Cunard Line last week announced its itineraries for its three Queens, itineraries that will see teh ships call at 167 poprts worldwide. Special events will include the 10th anniversary of Queen Mary 2’ entry into service and the 100th anniversary of the Aquitania’s maiden voyage from Liverpool. Last Wednesday, meanwhile, Viking River Cruises named ten new river cruisers, four in Amsterdam and six in the ship[yard in Roctock. And from across the water comes news that Un-Cruise Adventures is about to acquire its eighth vessel. Cunard’s 2014 programme includes an expanded season of Mediterranean fly-cruises, enhanced Transatlantic crossings with eight-night options featuring Halifax, and special birthday celebrations aboard 148,528-ton Queen Mary 2 (2,620 berths) to mark the ship’s 10th anniversary. 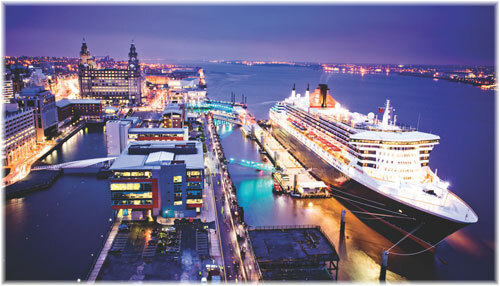 In 2014, Cunard’s three Queens will visit 167 ports that will include thirteen first-time calls. The 90,901-ton Queen Elizabeth (2,092 berths) will offer more than seventy departure combinations in the Mediterranean, running from June to December 2014, with the choice of 7-, 14- or 21-night itineraries. Her Mediterranean offerings include twenty-five different ports including Monte Carlo, Corfu, Mykonos, Naples, Dubrovnik and Livorno, as well as overnight stays in Istanbul, Turkey and Venice. In addition, Queen Elizabeth will have seven maiden calls at Elba, Kotor, Bodrum, Volos, Palermo, La Goulette (Tunis) and Toulon. 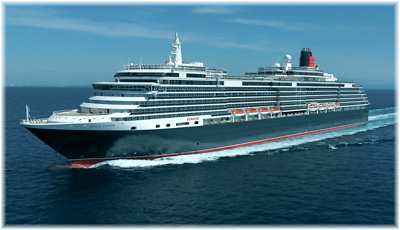 Queen Mary 2 celebrates her 10th Anniversary next year. Throughout 2014, Queen Mary 2 will celebrate this Anniversary as she continues to provide her legendary Transatlantic crossings between New York and Southampton, as well as Hamburg, with eighteen scheduled crossings between Southampton and New York. Two 8-night Transatlantic crossings will call at Halifax to celebrate Cunard’s Transatlantic heritage. Halifax was the line’s original east coast port of call between 1840 and 1867 and the birthplace of company founder Sir Samuel Cunard. Two birthday crossings to celebrate the 10th Anniversary, which will include a host of special events and celebrations, will take place from Southampton to New York on May 9, and New York to Southampton on May 16. The 90,049-ton Queen Victoria (2,014 berths) will also sail a Round Britain itinerary that will call at Liverpool on the 100th anniversary of the maiden voyage of Cunard’s 45,647-ton Aquitania (3,230 berths as built, 2,2000 from 1926), on May 30, 1914. The Aquitania was one of Cunard’s longest-surviving ships, lasting in service until 1950. Queen Mary 2 will again venture to Northern Europe, offering sailings from Hamburg and Southampton to destinations including the Arctic Circle and adventure travel to the Norwegian ports of Bergen, Andalsnes, Trondheim, Tromso, Alesund and Stavanger. With the naming of ten new Viking Longships last Wednesday, four in Amsterdam and six in Neptun Werft’s Rostock shipyard, Viking River Cruises achieved a Guinness World Record. But only eight of the ships counted toward the record, since two had already entered service in 2012 without an official naming ceremony. A large crowd attended the naming ceremony at Passenger Terminal Amsterdam. With all ten godmothers in Amsterdam, with six naming the ships that were in Rostock, and festivities from both locations broadcast live on giant screens. With names inspired by the celebrated Viking gods, these new vessels represent a quantum leap in design, elegance and engineering. Viking Aegir: Eszter Völner, a classical singer and daughter of the secretary of the Hungarian State Ministry of National Development. Viking Atla: Birgit Brandner-Wallner, co-owner of a company that operates 38 piers in Austria and Hungary. Viking Bragi: Dertje Meijer, ceo of the Port of Amsterdam. Viking Embla: Zhang Ling, a teacher at a Chinese school sponsored by Viking River. Viking Forseti: Alexandra Lobkowicz, chairs the Lobkowicz collections and with husband Prince William facilitates privileged access visit to Prague’s Lobkowicz Palace. Viking Var: Geraldine Norman, a Hermitage expert who facilitates privileged access for Viking River passengers to the famous St Petersburg museum. With the addition of its eight ship, Seattle-based Un-Cruise Adventures is now almost as big as Cruise West was in its prime, when it numbered eight ships from 70 to 114 berths. Seeing as many of the executives and staff at Un-Cruise Adventures started with Cruise West this does not come as a total surprise. 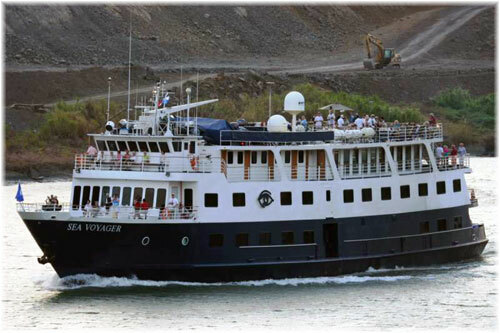 Un-Cruise Adventures’ eight vessel is the 64-passenger Safari Voyager. With passenger capacities ranging from 22 to 88 berths, averaging 65 berths, many of the smaller vesels are essentially yachts. Cruise West’s fleet of eight averaged 90 berths. Un-Cruise’s eight vessels cruise Alaska, Hawaii, the Sea of Cortes and the Pacific Northwest, but Alaska is where seven of the eight are deployed during the summer months. Three of the present fleet were bought out of the bankruptcy of Cruise West. When acquiring ships, Un-Cruise usually reduces capacity to make it a richer experience. Although this forces them to charge fares of up to $1,000 per person per day in the Alaska peak season, this approach seems to work for them. In 2015 the Safari Voyager will expand the company’s sailings to Costa Rica and spend part of the year in Belize. Having usually laid up ships in the past, winter operations will now become a part of the company’s strategy. Having re-branded from American Hawaii Cruises and InnerSea Adventures to Un-Cruise, the two companies now operate under one brand instead of two. Forty shoreside employees manage the fleet, and the line runs its own hotel and marine operations, with up to 300 employees including on board staff being engaged during the peak summer season.